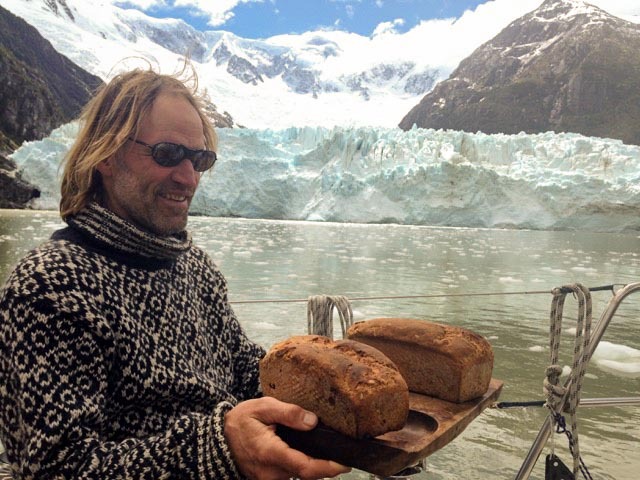 .All trips have their own character, some use the boat as a base camp and move from one location to the next to explore the scenery, go on hikes, explore historical sites and look for wildlife, like you would in Patagonia. 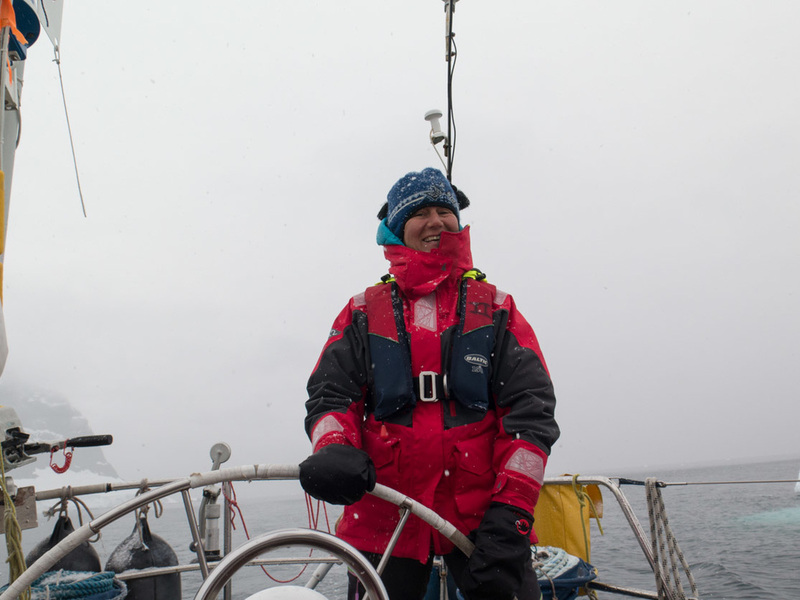 But on other trips the sailing gets more important as we cross to Antarctica. As part of the experience we expect you to participate in the sailing, keep watches, help anchoring or bring out shorelines. We do not expect you to be a seasoned sailor but taking part in running the boat makes you a crew member instead of a tourist. 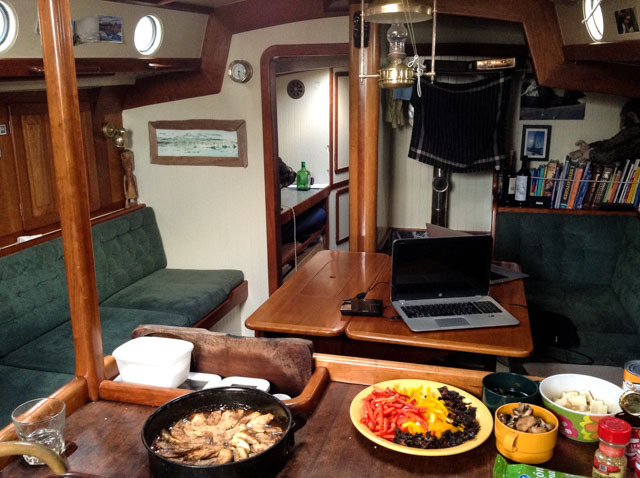 Same goes for all chores on board, you do not have to cook but help in the galley is greatly appreciated. And if you want to bake bread or feel like making diner all the better. There is a strict no alcohol policy while we are sailing or before a planned departure. In extreme cases this might also be enforced in a doubtful anchorage. Since we are in a small group we can be much more flexible to personal interests and weather and we can hang around if there is spectacular wildlife to be enjoyed. It gives us better opportunities to encounter wildlife and visit places where the big boats cannot go. Jonathan III is an excellent sailing boat, very comfortable, warm and extremely well insulated. With a maximum of 5 guests we have room to move. There are 4 cabins on board, some with two single and others with double bunks. The heads has a vacuum pump toilet, washbasin and a shower. The shower can only be used every so often depending on the water supply. Jonathan is a 15 meter long Koopmans design, specially designed and built for the high latitudes. A comfortable ship, well insulated with a large heater in the salon. Standing headroom even for tall persons throughout the ship and long berths. A ship to be comfortable on. Next to skipper and crew we have maximal 5 guests. We try not to overload the schedule; it is silly to race around the islands and fjords when you are having your holidays. You need time to experience nature and see wildlife while others pass in a hurry. Landscape and animal life in the Higher Latitudes are very vulnerable and even minor disturbances can cause permanent damage. The cultural remains of the old trapper huts, graves, boilers, mines, whaling stations etc. are protected. It speaks for itself that the intention of your visit is to enjoy nature and wildlife but not to leave any traces of your visit, or, leaving a clean wake, as sailors would say it. For these trips we charge around € 236-289 per person per day. This includes food, hot drinks, diesel and harbour fees. Alcoholic drinks and beverages will be served on board at cost. The trips start and end on the dates in the schedule. Unless otherwise agrees we expect you around 10.00 of the day the trip starts and we expect you to leave the boat latest at 17.00 hours of the last scheduled day. We usually have contact with our guest concerning flight schedules. Due to the nature of our trips and the way we sail Jonathan we expect our crew to be in good health and help actively with all chores on board. Since most of our trips are in remote area's and help can be far away we ask you to sign a "Waiver and Assumption of Risk". You will need to have a comprehensive travel insurance that covers the area visited. For the trips to Antarctica you will need to fill in a health declaration that needs to be countersigned by your GP (general practitioner). You will need good wind and waterproof clothing. We use thin outer clothing and fill up with plenty of layers underneath depending on the weather. We use woolen underwear and woolen socks for they stay fresh longer than other fibers. Good wind and waterproof clothing is essential to stay comfortable under adverse conditions. Good shoes are important too, waterproof high boots are best. Wellingtons (rubber boots) will do for getting in and out of the dinghy. Bring some soft, indoor shoes or sandals along for use inside or on deck, so that the hiking boots can stay in storage in the cockpit. A cap, gloves and a warm collar complete your outfit. A good warm sleeping bag is ok, the heater will do the rest. Please bring a pillow case and towel. Please do not take large/solid suitcases for this trip for they are difficult to store on board. Soft duffel bags work best.